Curtis Woodhouse was appointed the new manager of the oldest club in the world, six years ago today. The former Sheffield United midfielder took charge at Sheffield FC alongside his commitments as a professional boxer. 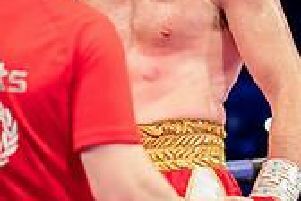 Within five weeks, Woodhouse lost a British light-welterweight title eliminator to Alfreton’s Dale Miles at the Magna Centre. He had one more fight before deciding his twin interests were incompatible...he resigned from the club in December 2012. At the time, he admitted having difficulty to managing both obligations. Woodhouse had eight more bouts before retiring from boxing in 2014 only to return to the ring last year. In June, the welterweight/Bridlington Town manager faces John Wayne Hibbert at Doncaster Dome, in a ten rounder. Hibbert won the Commonwealth super lightweight title in 2016.